Earth care, people care and fair share. Thomas and Sara strive to create a business system that leads in environmental stewardship, nurtures community, welcomes the world and provides balance for a great life. They live in Canmore with their three semi feral girls, Aria, Gabi and Maya. Sara Renner was mothered by the mountains. Born in Golden, raised in the backcountry, from a bloodline alive with adventure, Sara spent her formative years hooting from mountain peaks at Assiniboine. 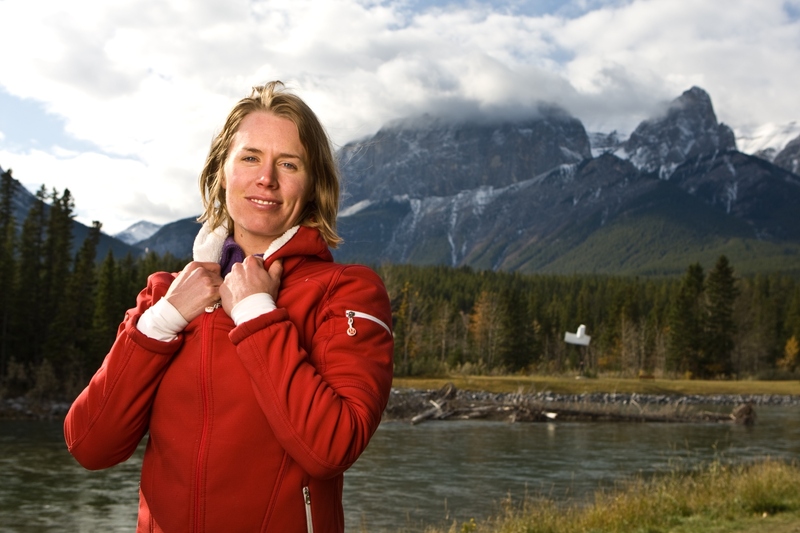 Her connection to the wild provided balance and strength and undoubtedly powered Sara to become Canada’s only cross country skier to win both a Olympic and World Championship medal. 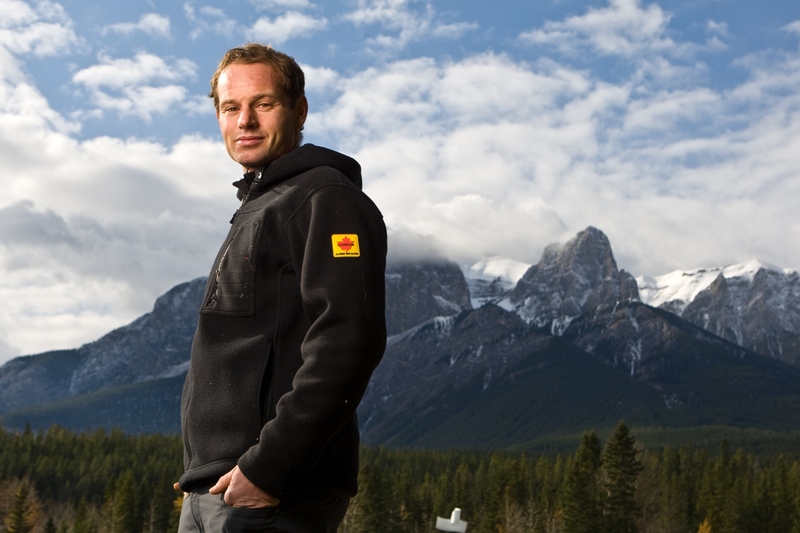 Born in Italy, homegrown in Banff, Thomas Grandi broke away from tradition and became the only Canadian male to win back to back World Cup Giant Slaloms. Despite standing on the tallest podiums in the world of sport, Thomas’ feet never left the ground. Thomas pursued his passion for ski journeys that go both up and down and is an ACMG ski guide. 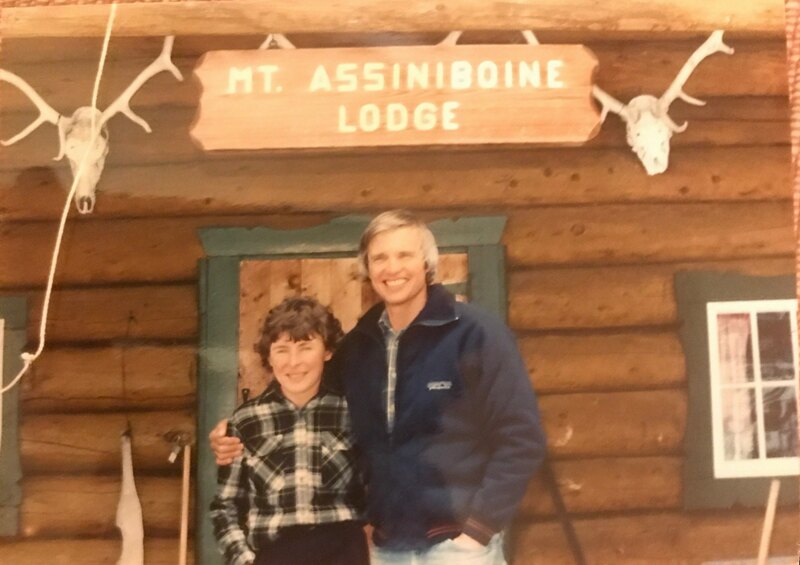 Barb and Sepp ran Assiniboine Lodge for 27 years between 1983-2010. Originally from Switzerland, Sepp left his goat herd to work as a heli ski guide in the pioneering days of Canadian Mountain Holidays. Meanwhile, Barb, was busy scampering around the mountains in her short knickers with her sister, Margaret Gmoser. Sepp and Barb met, fell in love, found their own Matterhorn at Assiniboine Lodge and raised three kids- Andre, Sara and Natalie in the bush. Sepp can be found making sap boats with his grandkids and telling stories on the “Jonesy” stool. Barb will be portering home grown salad greens from the lowlands and hooking up helicopter long lines. A world of gratitude to Sepp and Barb. We love you and couldn’t have done this without you! 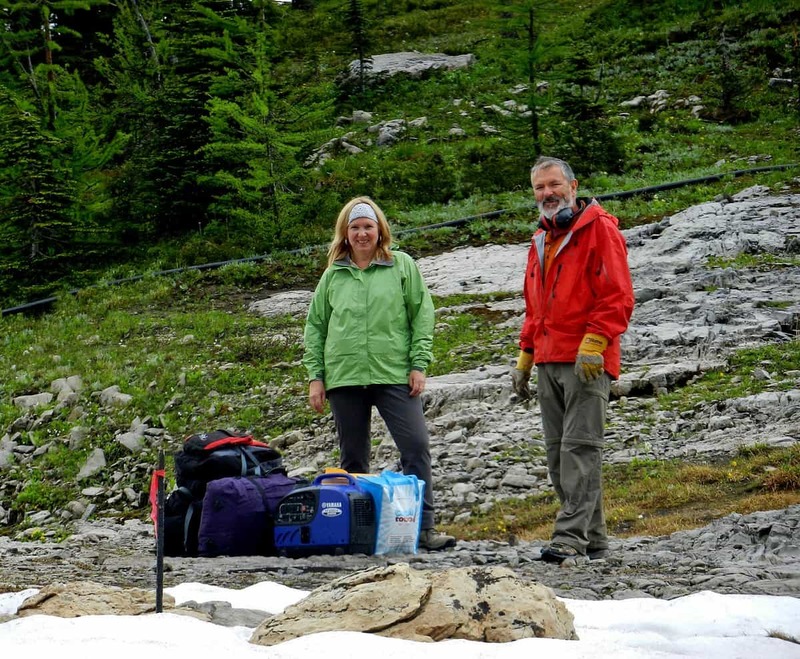 Chris and Joanne Espinel were the heart of Talus Lodge since it was built in 2004. Originally from Ecuador, Chris was an avid explorer of difficult to reach, obscure, mountainous terrain. Always looking for new opportunities, the idea for a remote alpine lodge began to take shape. His knowledge of the East Kootenay and his keen interest in discovery led him to find the unique and pristine Talus Lodge location. As well as being a school teacher, Joanne was the logistics manager, cook and undisputed backbone of Talus. Chris and Joanne live in Invermere, BC. Undoubtedly, Chris will now be found enjoying his expanded roaming grounds and Joanne spending time in her garden.